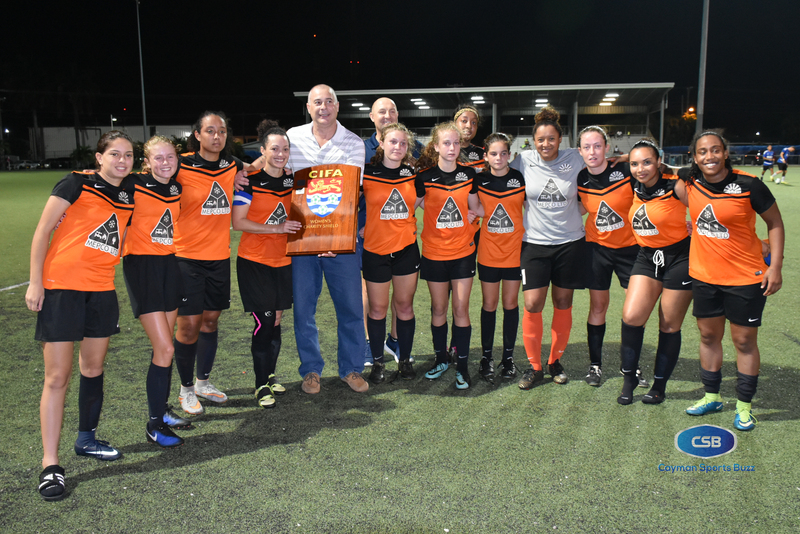 2018/19 Charity Shield winners - Sunset FC with CIFA General Secretary Marcos Tinoco. 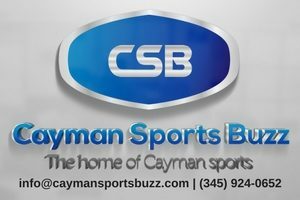 In what has become a common occurrence in recent editions of the season-opening Cayman Islands Football Association (CIFA) Women’s Charity Shield, Sunset Football Club lifted the hardware after a dominant performance at the Annex Sunday night, 28 October to kick off the women’s 2018/19 campaign. 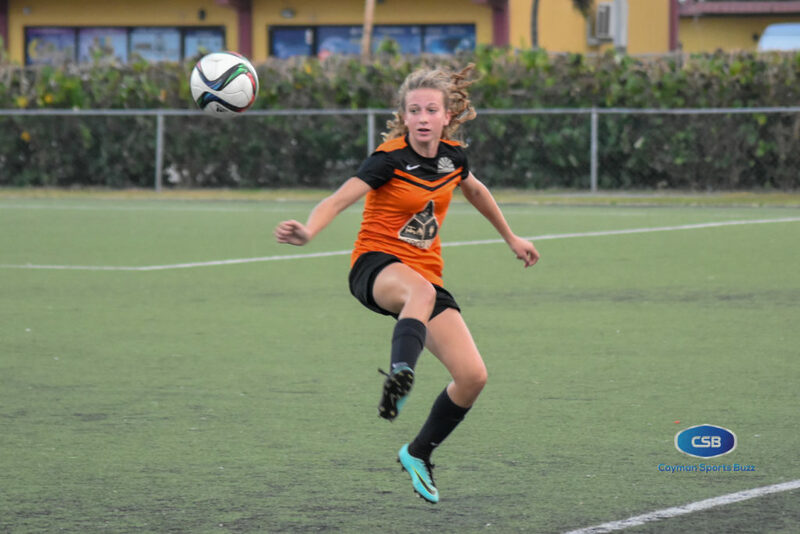 Teenager Molly Kehoe provided a bulk of the scoring with four goals to lead Sunset to a 7-3 win over last season’s league champions, Scholars International. 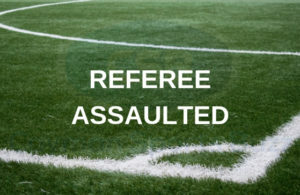 Sunset pressed early and got on the scoresheet when Scholars goalkeeper Kristina Seymour bobbled the ball, allowing Kehoe to have a clear path to head the ball into the back of the net in the 8th minute. Molly Kehoe scored four goals. Shenel Gall, embracing her new role as player, captain, and coach, doubled the lead in the 15th minute when she drilled her shot low to the right of Seymour. Kehoe added another in the 27th to extend the lead to three goals before securing her hat-trick in the second minute of injury time before the half. 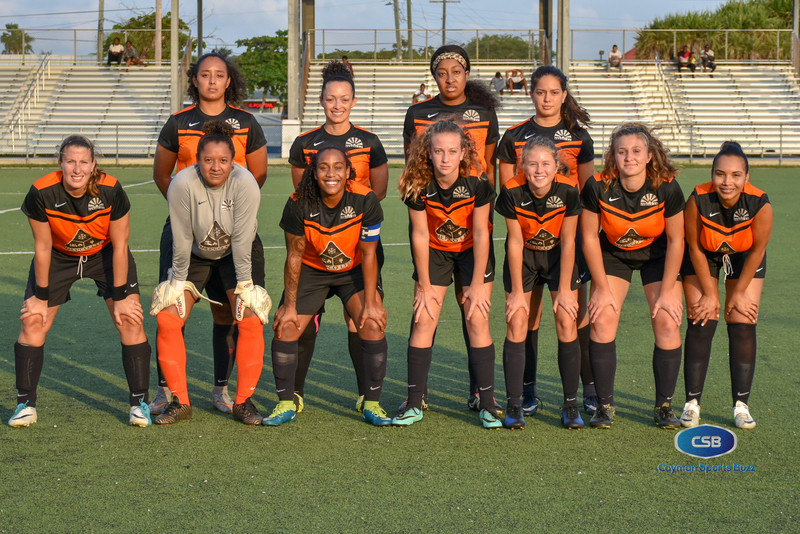 At the break, Sunset led 4-0 and were making light work against a side that looked a shadow of their usual selves as they worked away the off-season rust. Kehoe scored her 4th in the 48th minute, then Elena Testori got on the sheet in the 55th to put Scholars up 6-0. Susani Lucas put Scholars on the board in the 56th before Ericia Burke added another to make the score 6-2. 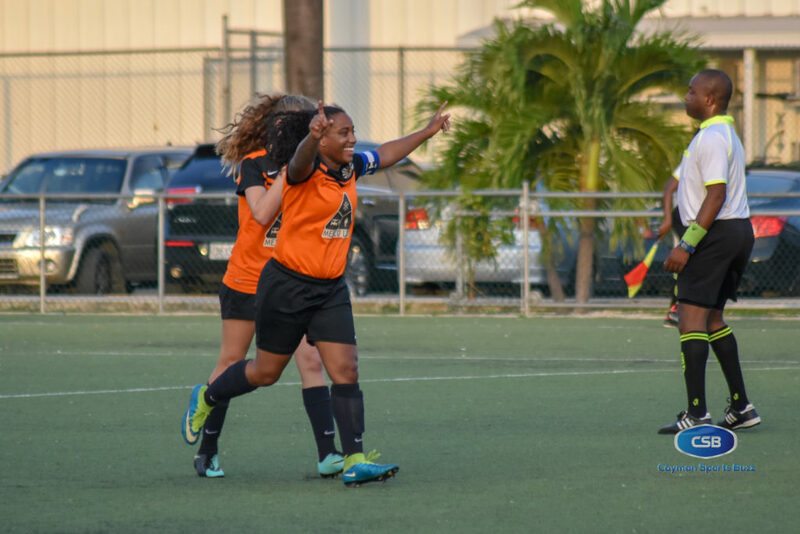 Shanelle Frederick, wearing new colours this season, added Sunset’s 7th in the 83rd minute. The scoring was rounded out by Gabrielle Watler to end 7-3. 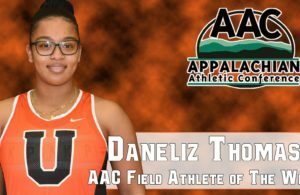 Speaking about her new role, the midfielder said: “It’s making me learn a new part of the game, which I can appreciate because there’s always learning with football.” She added that she has notices her teammates have started showing her more respect off the field since taking up the role as coach. Sunset open their season on 4 November against Elite Sports Club at Ed Bush Sports Complex (7:00pm). 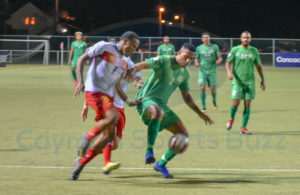 At this stage, the league appears to be going ahead with only three teams, despite their being earlier indications of as many as five units suiting up. Scholars International: Back Row: Ericia Burke, Sabrina Suberan, Susani Lucas, Q’ia Whittaker, Arie Smith, Doris Illa Guillen. Front Row: Kimberly Salgado, Kessie McCoy Gonzales, Kristina Seymour, Mahalia Seymour, Brytanni Lawrence. 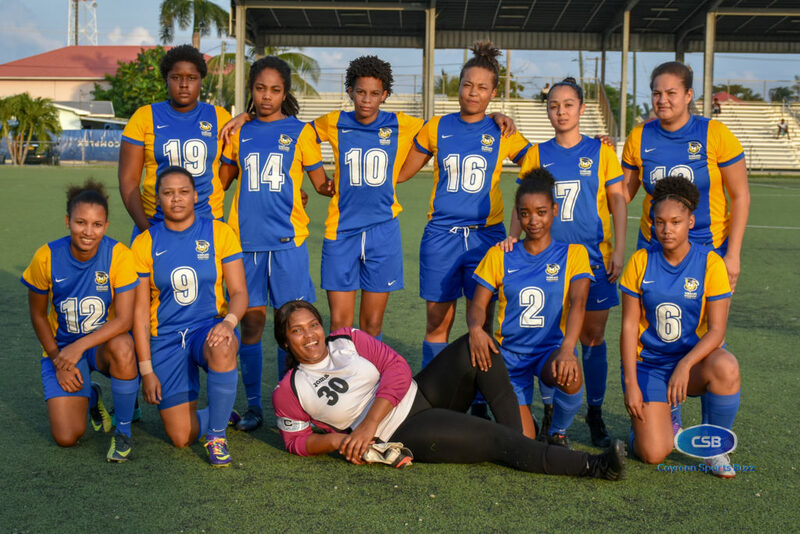 Sunset Football Club: Back Row: Shanelle Frederick, Sophia Dilbert, Shalyse Reddicks, Jenna Edwards,. Front Row: Elana Testori, Jovanni Hessing, Shenel Gall, Molly Kehoe, Anna Zimmerman, Pippa Parker, Janycee Parchment-Tatum.